Gangnam branch of Shinsegae Department Store is located in the Central City at the Express Bus Terminal Station. 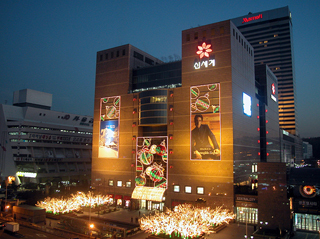 The Gangnam branch is as big as the main department store, which is the largest store in Korea. It has the luxurious atmosphere with floors furnished with marbles. Customers can taste superior level of foods at the wide basement of the Grocery Hall including Dean & Deluca.